COMPASSIONATE CLIMATE ACTION: Is Green Investing a Compassionate Climate Action? Is Green Investing a Compassionate Climate Action? I heard someone ask this past week, "Who will be the first to accept 0% on their investments?" The answer, of course, is (a) all those who keep their money under their mattress, and (b) all those who lost huge chunks of their nest eggs when the Big Banks orchestrated that collapse in 2008-2009. But the question also reminded me that we're not moving in the direction of economic revolution fast enough to safeguard the future; we aren't beatin' 'em, so we'd better join 'em. Let's use "thuh market" to do the right thing. If you have money invested in stuff that's snuffing the future, then think again. Investing in renewable energy technologies, for example, is good for you and for the planet. Here's a recent update showing that people are making good returns on their investments in green. It's called Global Investment in Green Energy Hit Record in 2010 by Todd Woody at Grist, and subtitled The Quarter-Trillion-Dollar Opportunity. The numbers are in and 2010 proved a record year for green energy, investment with venture capitalists, corporations, and governments worldwide pouring $243 billion into wind farms, solar power, electric cars, and other technologies, according to a new report from Bloomberg New Energy Finance. That's a 30 percent spike from 2009 and nearly five times the money invested in 2004, the research firm said. "It flies in the face of skepticism about the clean energy sector among public market investors, who have been concerned about the sustainability of subsidy programs in Europe, the failure of the Obama administration to deliver a climate or an energy deal, and the crescendo of ill-informed doubts about climate change," Michael Liebreich, Bloomberg New Energy Finance's chief executive, said in a statement. 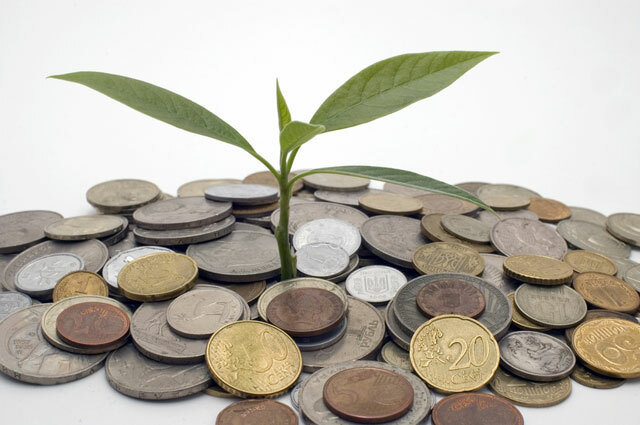 So, if you've got money to invest, find a green way to invest it. And keep encouraging governments to drop fossil fuel subsidies and increase renewable energy subsidies (which are driving investment and progress in renewable energy). That's such a no-brainer, but we all know that most governments don't run on brainpower these days.